I'm loving the 30 minute power shopping sesh I had on State St. in Chicago before I had to catch my flight Monday afternoon. In that short time, I sprinted through H&M, grabbed everything I liked, made my way to the fitting room, had time to browse accessories and cash out. I think that was record time. Few! I'm tired just thinking about it... I'm loving how much Cali likes ice.. and boy does it come in handy when we need to distract or occupy her! I'm loving that after 10 days of antibotics I've finally kicked my sinus infection and can enjoy my days off this week. I'm loving that I get to sleep in my own bed for 4 nights this week! I'm loving that this coming weekend will be my last weekend of travel til June, yay! I'm loving that I had an 1.5 hour coffee date with a girlfriend this morning and then jetted off straight to a 2 hour Panera lunch date with another girlfriend. Looks like this girl's getting pretty popular!! I'm loving that I got this exact $120.00 Tommy Hilfiger rolling duffle for $49.00 at Marshall's! I'm loving that Ralph Lauren is on Oprah today. He's such a proud American and seemingly humble fashion icon living a quiet life on a Telluride (one of my favorite places I've ever been!) ranch. I'm loving that The Bachelorette is starting up next week. Time to start our Monday night get-togethers again! I'm also loving that the Bachelorette starts soooo soooon! Wow, great find at Marshall's! 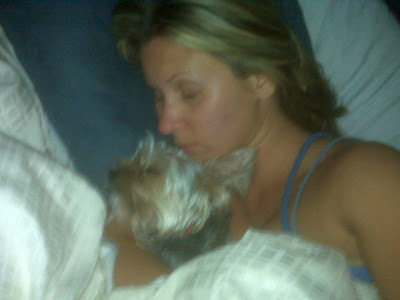 That picture of you and Cali is adorable! Brutus also loves him some ice-cubes! 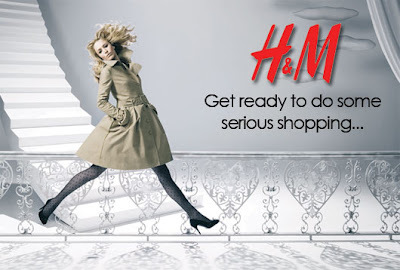 And I so wish we had an H&M near us...perhaps one day! What a find at Marshal's!! I love that place!! I am loving your new Tommy duffel bag! I am sooooo excited about the Bachelorette, too! Mondays have been so boring. Me too me too! SO excited about the Bachelorette! oo nice marshall's find!! and I cannot wait for the bachelorette!!! I love the new purse! Ahh I'm so excited for the Bachelorette. Happy Wednesday! I CAN' WAIT FOR BACHELORETTE YAYYY!!! 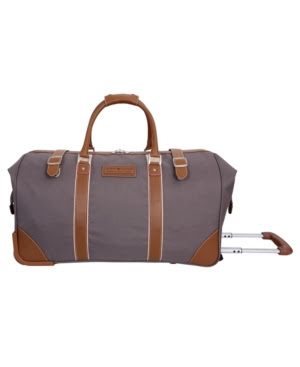 Perfect duffle for you, jetsetter! 1. So impressed by your speedy H&M trip..the lines for the dressing room at our H&M are always SUPER long, making a quick trip impossible! 2. I love long coffee/lunch/etc dates with girlfriends!